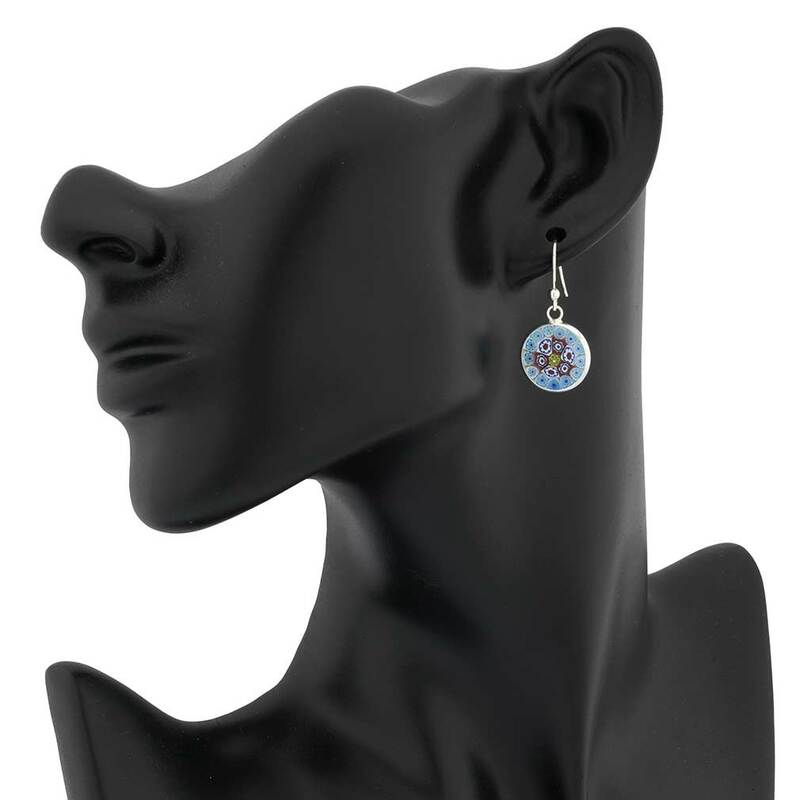 A beautiful display of Murano artisans' talent and skill, these Murano Glass earrings dazzle with their rich colors and intricate mosaic-like pattern. 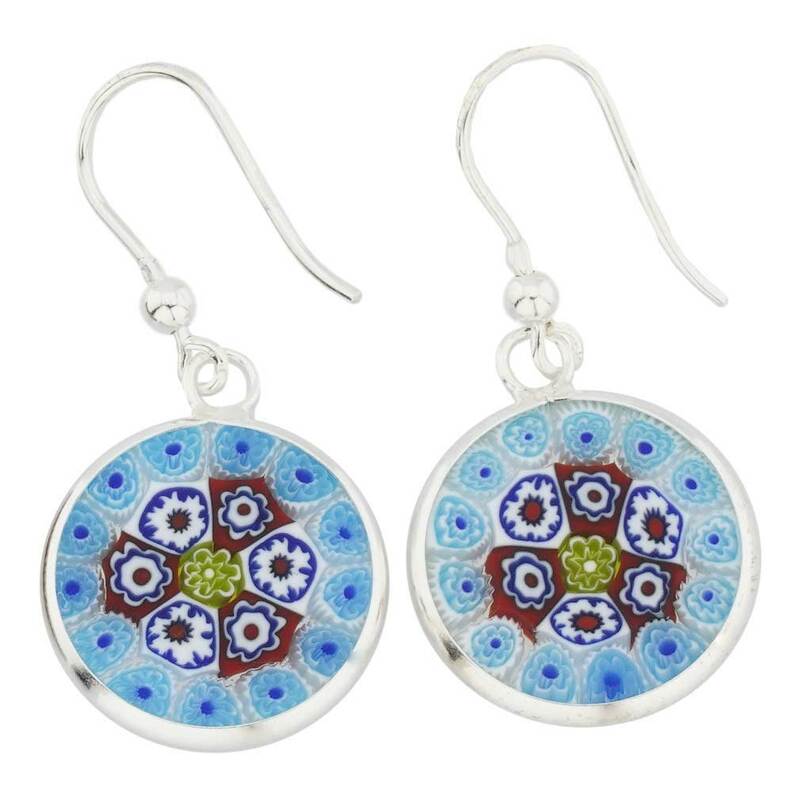 Evoking elegant images of Venice, these earrings are crafted in Millefiori glass-making technique, which is a complicated process requiring exceptional skill and years of experience. A winning combination of bold pattern and simple sterling-silver frame makes these earrings a perfect fit for any occasion, from a casual weekend to a dress-up night out, making the woman who wears them feel elegant and unique. 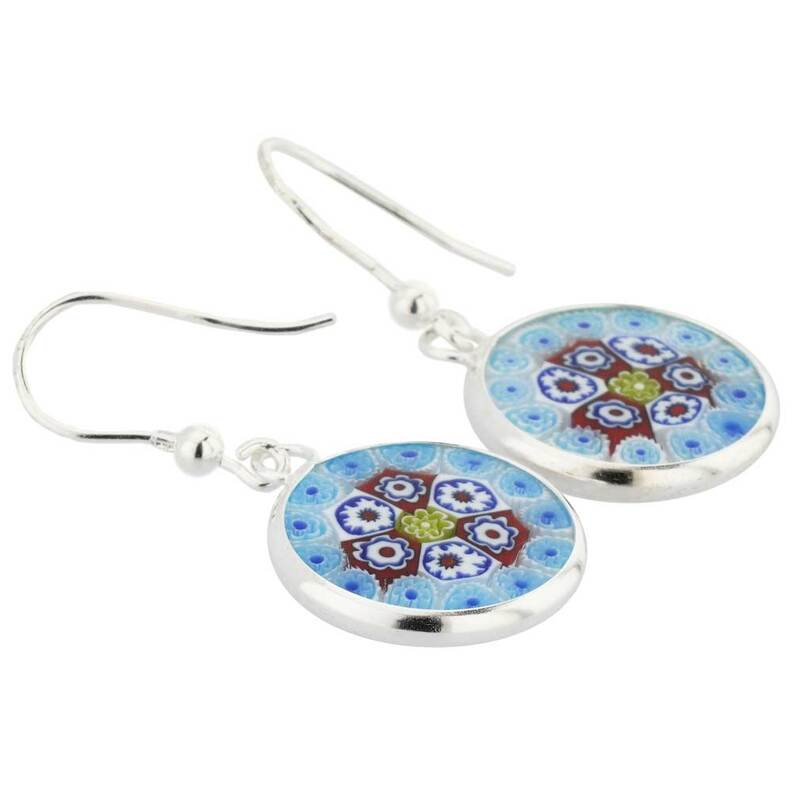 Pair these Venetian earrings with a Millefiori pendant in silver frame from our extensive Millefiori Pendants collection for a perfectly coordinated look. Love these! They are different and classy! Beautiful, well made, arrived FAST! These are beautiful and very comfortable to wear. They go well with my Millefiori watch. They are different looking, not what you see in all the stores. Beautiful earrings. Nice quality and quick shipping.